Welcome to our first ever blog! Over time we hope to enthuse and amuse you with our posts! With Spring just around the corner you may have already thought about your customers needs. Set the scene; beautiful garden centres and picturesque tea rooms, just perfect for our Cafe Banner range. 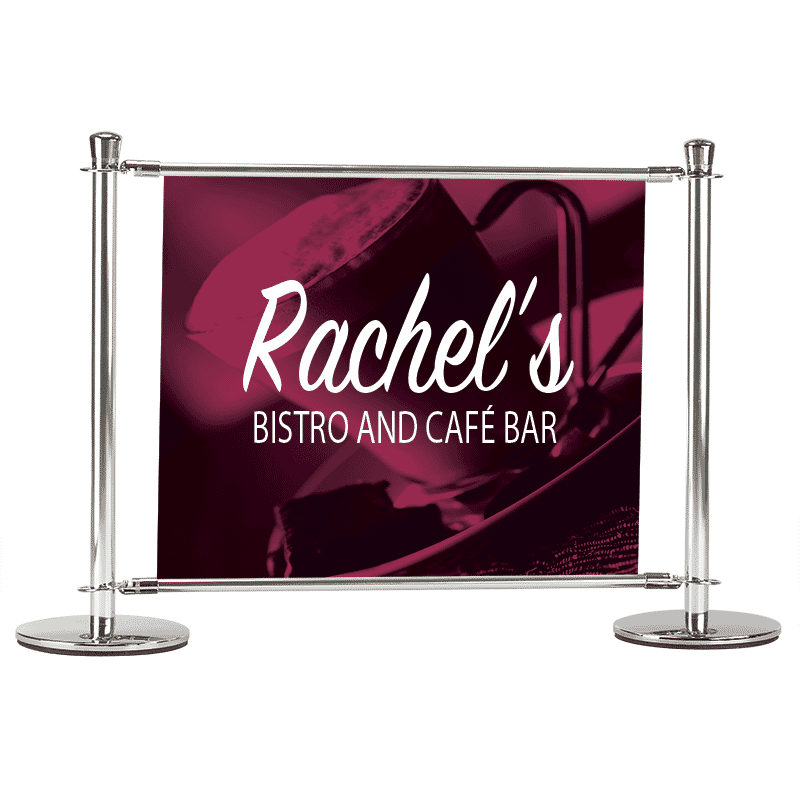 Cafe Banners can be a great statement for cafe and restaurant owners. Customised with their unique logo and colour schemes they have a sure way of standing out and drawing consumers in and with the hint of a heat wave on the way it’s best to be prepared! Statistics show that the busiest month for café banner sales is June, so now is a good time to start thinking of how to promote it. Café Banners can work miracles with outdoor space, turning them into relaxing settings and can keep draughts from affecting clientèle. With lovely weather people don’t want to be indoors and the use of café banners can give clientèle the opportunity to sit outdoors bringing more customers in which of course makes more business for cafés etc. What could be better, being outdoors and having the aroma of fresh coffee? Optimising outdoor space really is a must for café’s and restaurants this summer. Imagine a world without signs? Complete chaos! As well as for our safety and telling us where to go signs can have a massive impact on people’s businesses, drawing customers in and catching their eye. Pavement signage especially is brilliant for this as you can’t miss it! People walking down the street and they have no choice but to inadvertently read what’s in front of them. Jason at GiraffePress in London knows only too well the influence signs can have and how best to help his clients achieve the right outcome. Here, he talks about one particular client in which the end result was a stunning, eye catching sign. 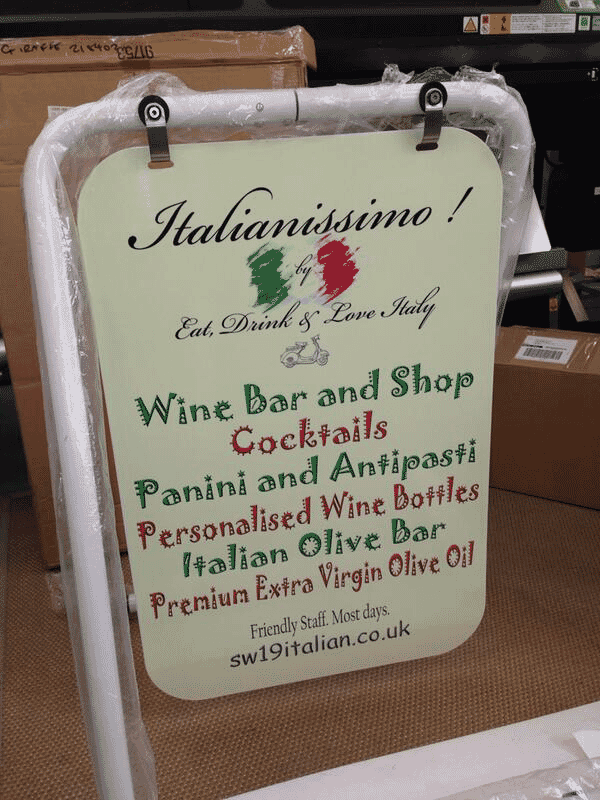 Simple yet extremely effective, he says “My client wanted something for the outside of his bar, so I suggested to him your folding swing sign, at first he wasn’t quite sure, but once demonstrated to him he thought it was great, better than other pavement signage he had had. That afternoon he sent over his artwork, I printed, laminated and mounted to the sign blank (both sides of course) and he came next morning to collect. We at Giraffe always welcome clients to our studio, he was over the moon with his new sign and is now intending to get another”. Now, Italianissimo have this wonderful sign as you can see. This is our ever popular Folding Swing Sign, simple yet sturdy. As well as printing on this cost effective sign you can also write on it with our chalk board pens, this gives your customers more flexibility and ease to change advertisements. 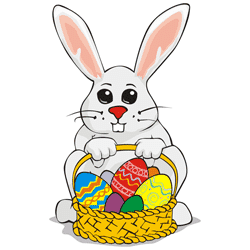 This is just one of many ideas that we have for helping your clients draw customers In this Spring, not forgetting the mass of chocolate and chicks!